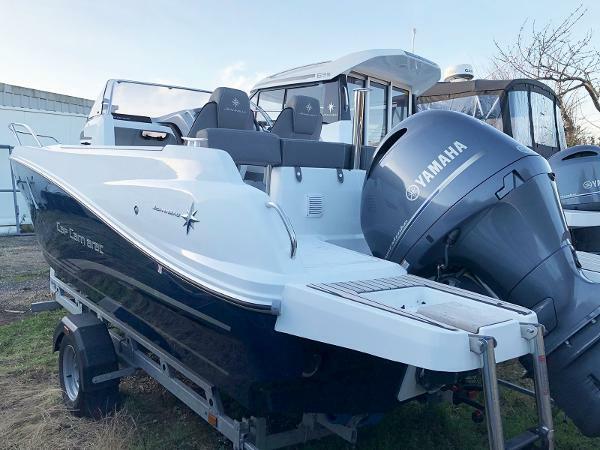 Brand new 2019 Jeanneau Cap Camarat 6.5 WA Series 2 with a Yamaha F150 in stock and available immediately. New boat, engraved with a 2019 serial number. 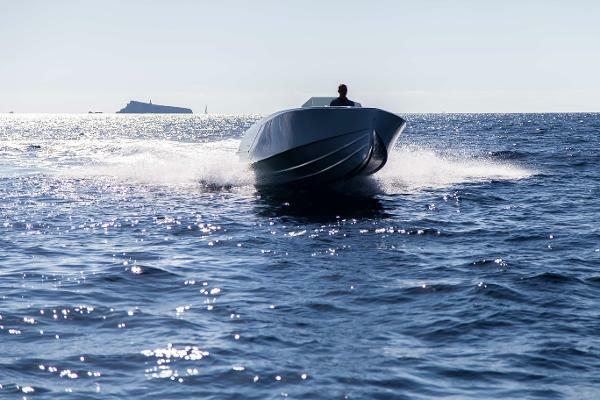 A fantastic specification boat and available for immediate delivery. 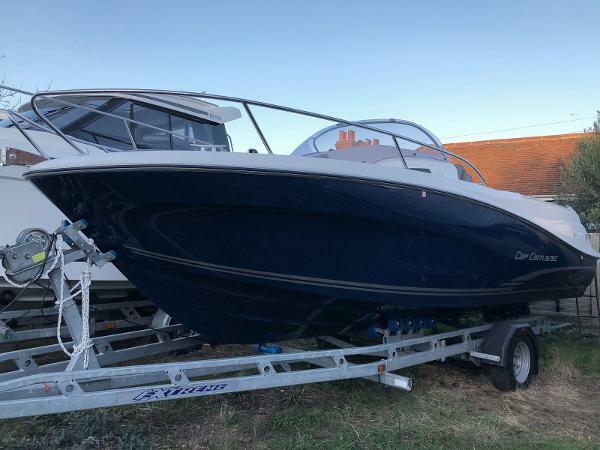 Specification includes: * Jeanneau Cap Camarat 6.5 WA Series 2* Yamaha F150 DETL outboard engine - complete with controls and LCD instrumentation. * Premiere Pack - Cockpit cushions, storage net in the cockpit, cabin cushions, luxury folding side bench on the starboard side with cushion. * Electronics Pack - Garmin echoMap 75 cv with GT22 transducer (traditional and Clear Vu high definition sonar). 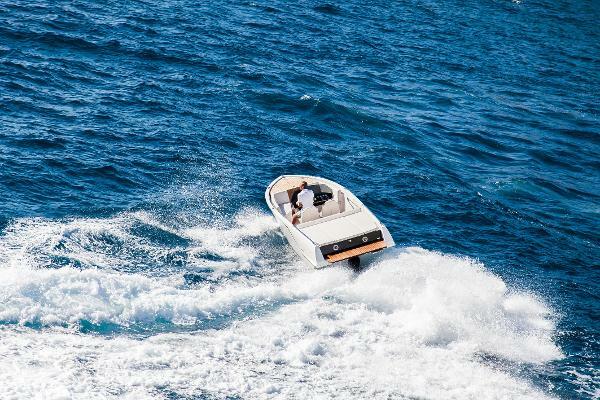 * Ski arch* Swimming platforms with teak* Upgrade to larger bolster seats* Cockpit table* Front sundeck mattress* Water system and cockpit shower* Double berth conversion Recommended retail price for this package is £46,695. Our offer price is £42,768 including VAT. 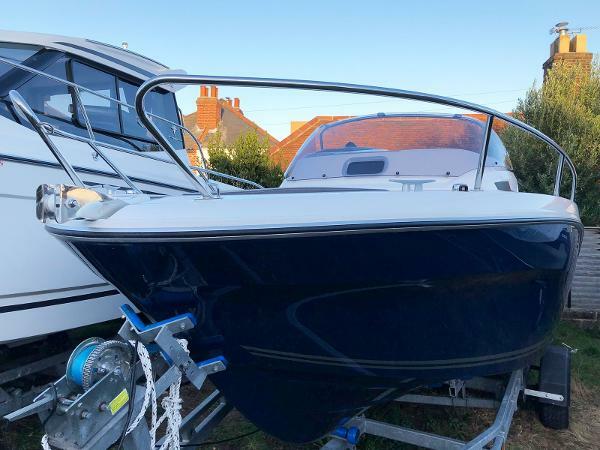 The price shown is for the boat launched at Bucklers Hard or Lymington and includes PDI, handover, fuel and a handover pack. National delivery, finance and trade ins are also available. 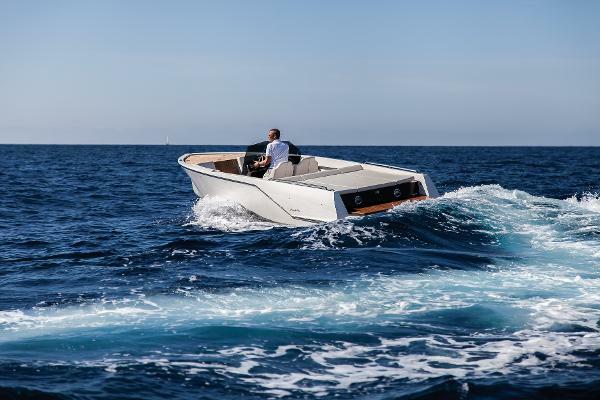 A fantastic opportunity to get on the water this season in a brand new Jeanneau Cap Camarat 6.5 WA, in the most desirable configuration. Please contact Daniel to arrange a viewing or for further information.